It is great fun to design a website. When your client is about to enter into a new project, all they do is put their complete faith on you to bring their ideas into life. Seeing a big smile on your happy client’s face is the most satisfying thing that any designer can ever ask for. But, even the best of the relationship with your client can go wrong if a proper web design contract is not in place. A complete and solid contract can avert the concerns that you fear and try to avoid. A web design contract can be complicated or simple according to the project’s complexity and size but, there are certain elements that one should never miss even in the smallest of the contract. You and your client can save yourself a lot of trouble and time by simply having a proper web design contract with some of the key points mentioned in it. Here are the 5 things you should never forget in a web design contract. There are various components when you design a website. When a contract is worked in print, it’s usually believed that the client pays 100% for your services and takes complete ownership of the work produced. But, it doesn’t remain that simple when you actually start developing the website and offering your services. So, it is very important to mention what you are offering and what you are not in the web design contract. For instance, what should be done if your client wishes to change web hosting in the future, the layout, etc.? Other things that you may include in the web design contract are – theme or web layout ownership, the web design, site development coding, site’s CMS System, any intellectual property owned by the client or you, web copy, and more. 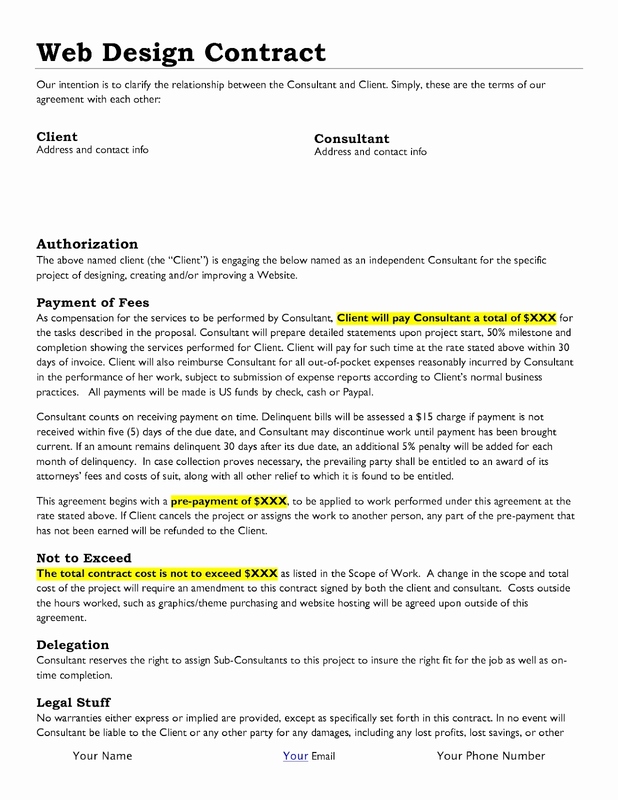 To avoid any sticky legal mess, it is important to state each of the points in the web design contract clearly. When a website is designed, it is a two-way process. Firstly, your responsibility is to ensure 100% perfection in what you deliver and also maintain your repute in the industry. And secondly, your client’s responsibilities to provide all the information you need to complete the project and also offer on-time feedback to help you with the on-going development. Often clients fail to understand it, so always better to put down in writing like client need to provide the product info, photos, complete plan of the site, key information such as FTP or WordPress detail. One of the most vital things is who is going to upload the content, the client or the designer, which creates a lot of tension. 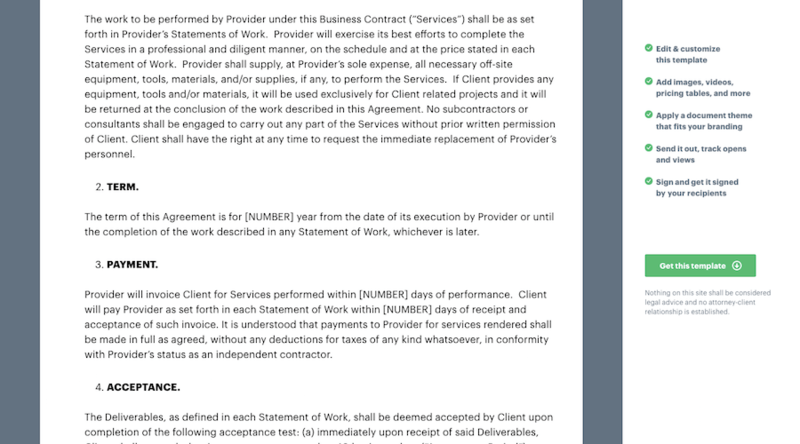 So, it is always better to be clear from the beginning by including these points in the web design contract. It might be a tricky situation when it comes to the payment part but it is the most vital one too. In order to ensure that you receive the full payment, never feel shy to get your payment upfront. Completing work and then getting paid is what you would never look forward to, as there are chances of the client ignoring or delaying your payment. If you cannot ask for the payment upfront, ensure to get part payments as you keep completing the work. Mention each of the milestones whatever is discussed with your client regarding payment in the contract to avoid any confusion at a later date. For instance, if you have a $6000 project, you may divide and detail your milestone into 50% and 25%-25% ratio. Like 50% as deposit, 25% at the completion of the design phase and another 25%at the final site delivery phase. Never start the work without getting any upfront fees. It is important to note that if you do good work, clients will automatically come to you for your web design/development services. You don’t need to do any work other than the work mentioned in the contract or revisions free of cost to please your client. If you are given any additional work by the client, you might feel it is just a matter of 30 seconds so let’s fix but never do so without charging the money. Any kind of additional work must always be billed hourly. Even if you are visiting a client, ensure to charge for it, whether effort or your time, it is your money. Apart from web design, if you also offer hosting services, mention the same in the web design contract. Keep the detail handy about how often and how much your client needs to pay you. If you don’t wish to work with a client for whatever reason it might be or if you want to change any clause, your contract must have the point that you are allowed to do so to avoid any problem in the future. It definitely has to be fair for the client as well, for example, giving a notice period before leaving or coming to a decision from both parties before changing a clause. In case of termination of the contract, the web design contract must have the details like within how many days the client properties like discs, images, etc. have to be returned, etc. You must think of every situation and then draft the web design contract. Do you have any other important points to share that must be included in a web design contract? Feel free to share. 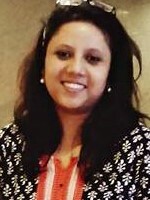 An ex-media professional and a passionate writer, I love to explore various niches and grow my knowledge on any given subject. It helps to satisfy my thirst to creatively use my potential in different areas of life. Sharing my passion is what I am looking forward to through this platform.